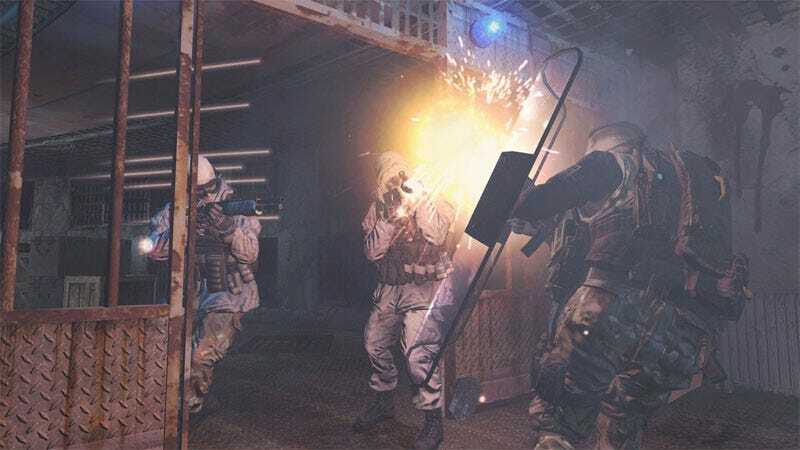 A little more than a month after the two top men behind Modern Warfare 2 were fired by their publisher and sued because of it — that publisher, Activision, is suing back, the Los Angeles Times reported today. The paper reports details of an Activision lawsuit against former Infinity Ward bosses Jason West and Vince Zampella that accused the men of scheming to "hijack Activision's assets for their own personal gain." Activision [stated] in its 23-page complaint that "West and Zampella's misdeeds formed an unlawful pattern and practice of conduct that was designed to steal the [Infinity Ward] studio, which is one of Activision's most valuable assets — at the expense of Activision and its shareholders and for their own personal financial gain." The lawsuit says Zampella and West went "on a secret trip by private jet to Northern California, arranged by their Hollywood agent, to meet with the most senior executives of Activision's closest competitor." The Times connects the dots and speculates that said meeting involved West and Zampella's agent at Creative Artists Agency and Activision's heated rival Electronic Arts, the publisher behind Modern Warfare rivals Battlefield and Medal of Honor, the latter of which rose to prominence in part thanks to efforts of a previous development studio run by West and Zampella. Last month, gaming outlet G4 reported details that Activision was seeking information about West and Zampella's possible recent contacts with Electronic Arts. Kotaku has reached out to the involved parties and will let you know if we hear anything back. Read a full break down of the suit, complete with accusations of corporate espionage and backstabbing, here.